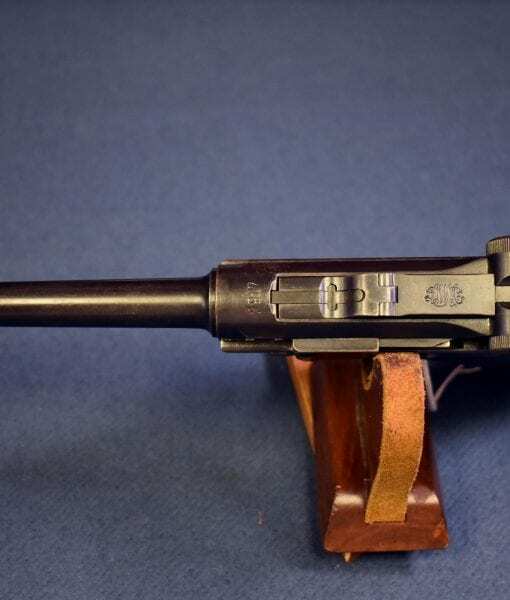 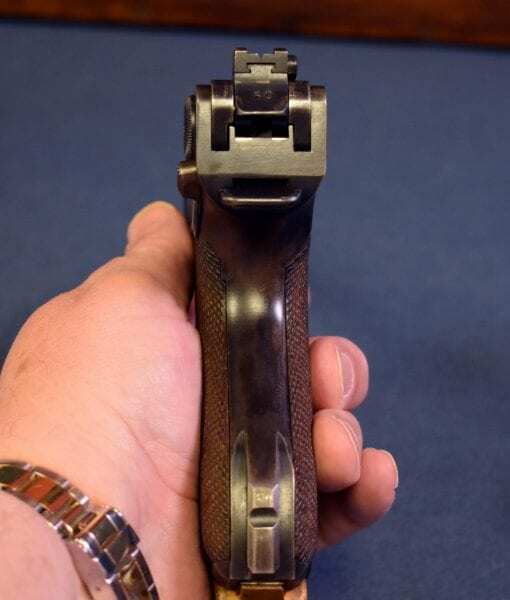 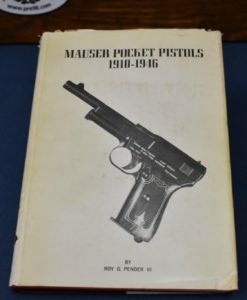 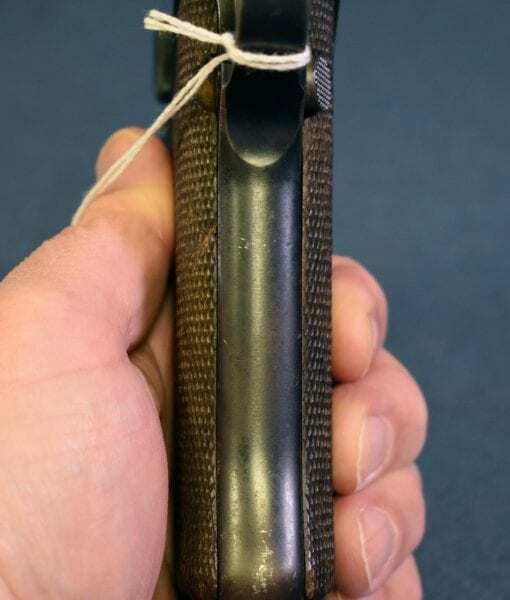 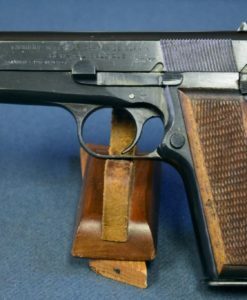 In 96% very sharp condition and all matching, we have a very scarce and seldom seen 1914 Variation Imperial German Navy Luger dated 1917 The magazine is the correct Crown/M mag which is correct for this pistol. 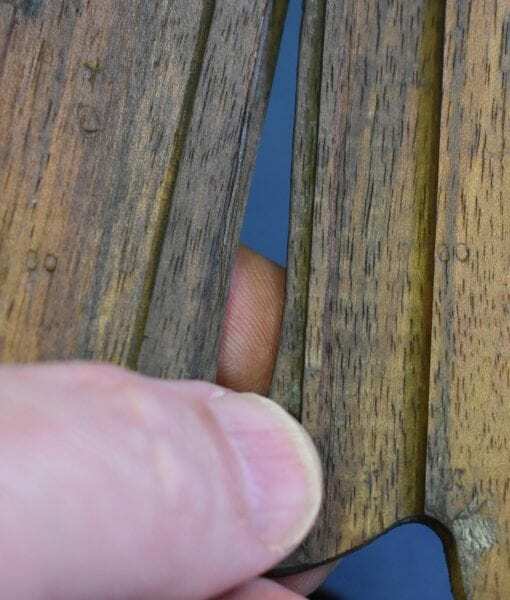 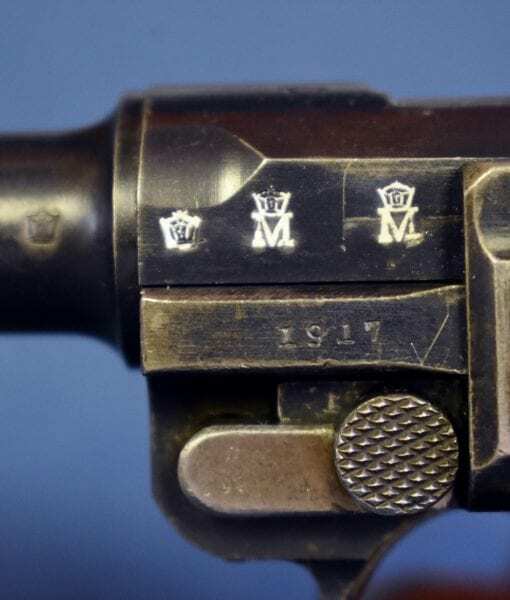 This is exactly as it was brought back as a war trophy from WW1 and was likely used to arm the German Naval troops “Marinekorps who fought in Flanders and France during the war, or might have been issued to a U-boat. 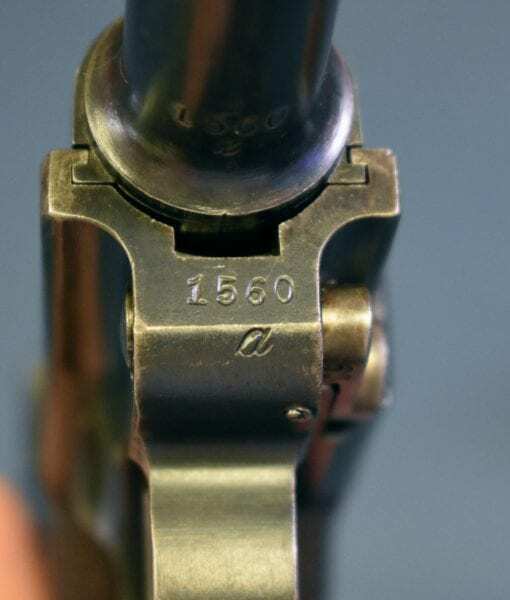 The pistol is all matching and the bore is excellent. 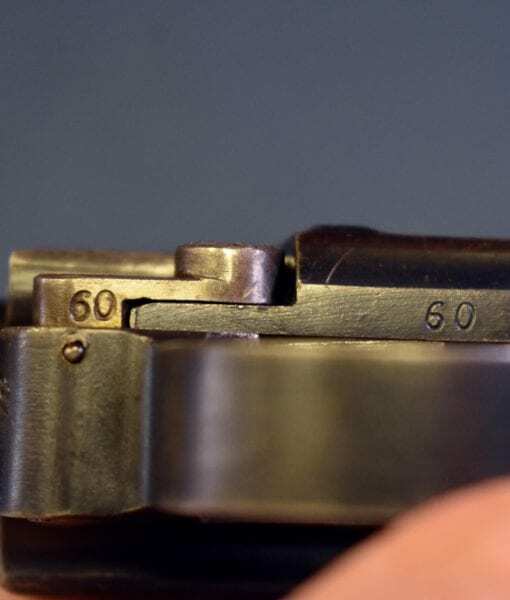 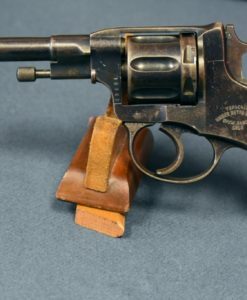 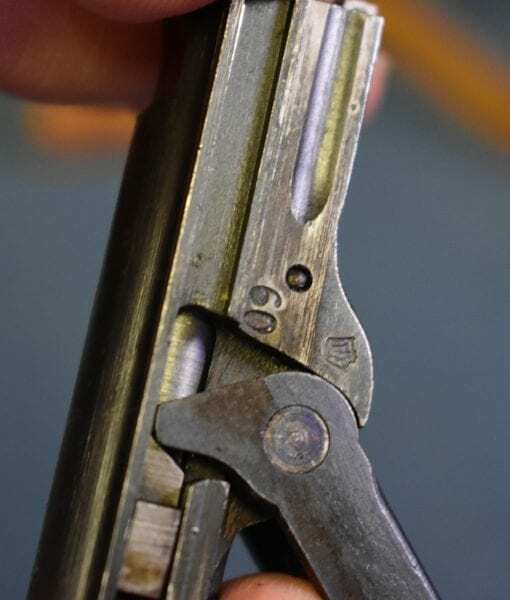 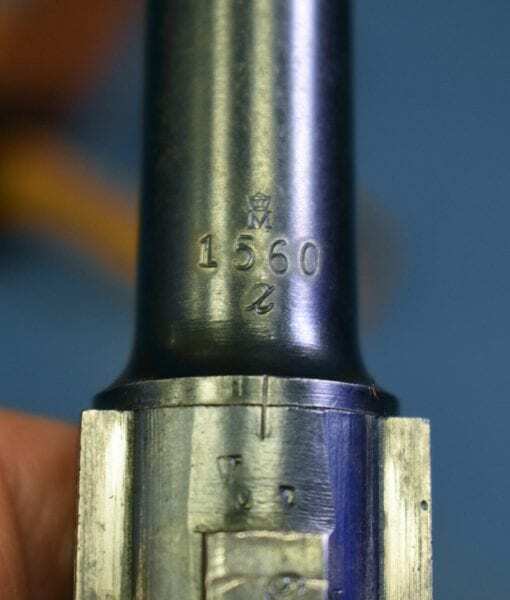 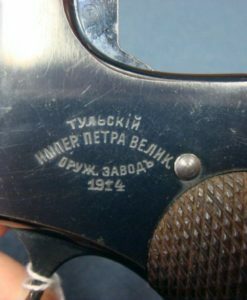 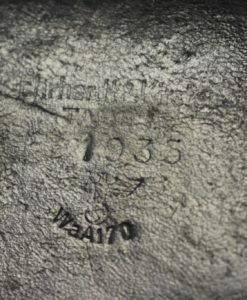 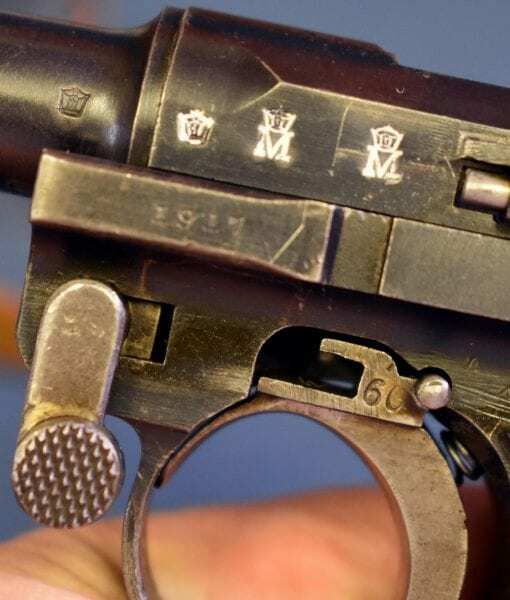 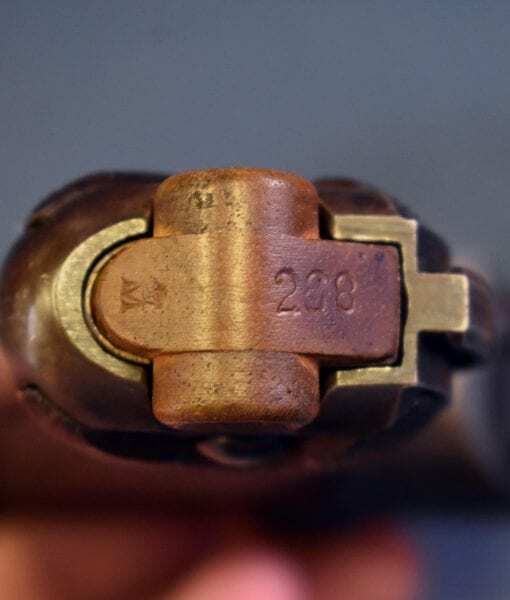 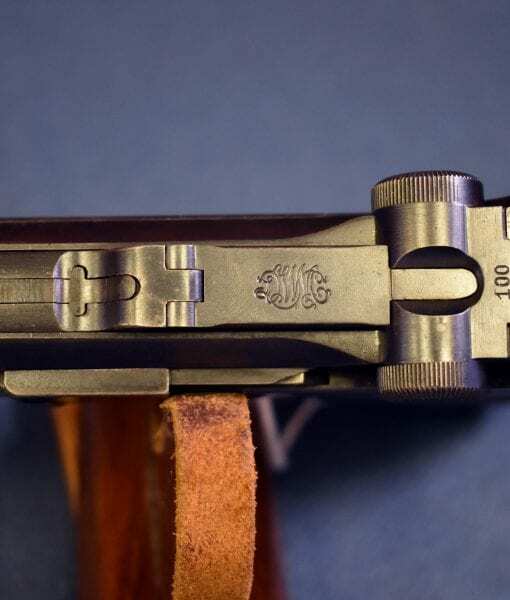 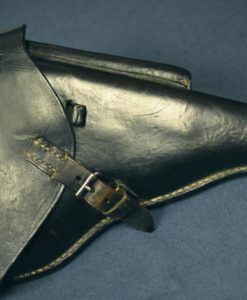 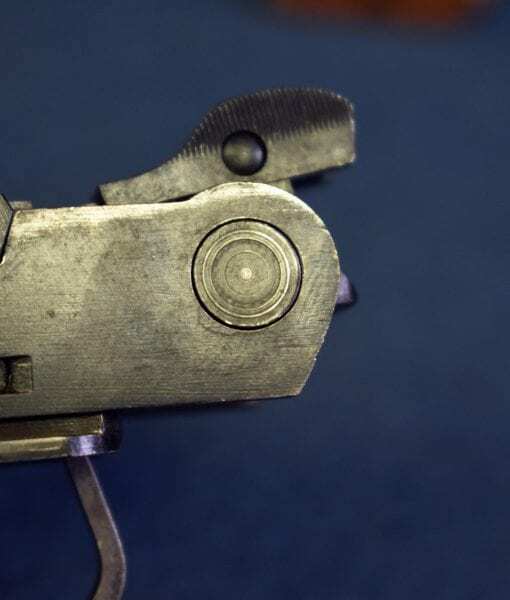 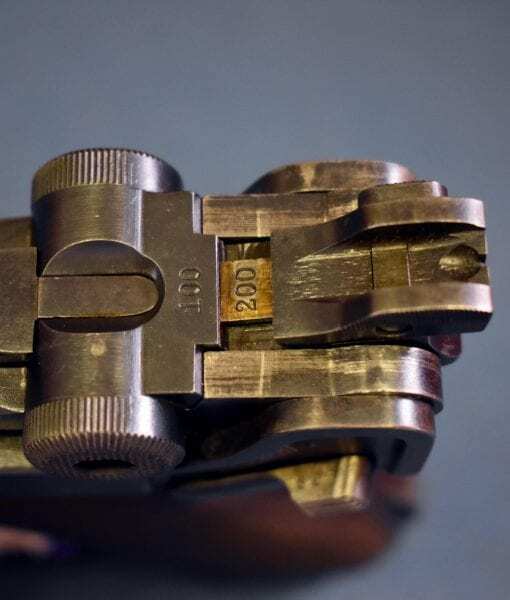 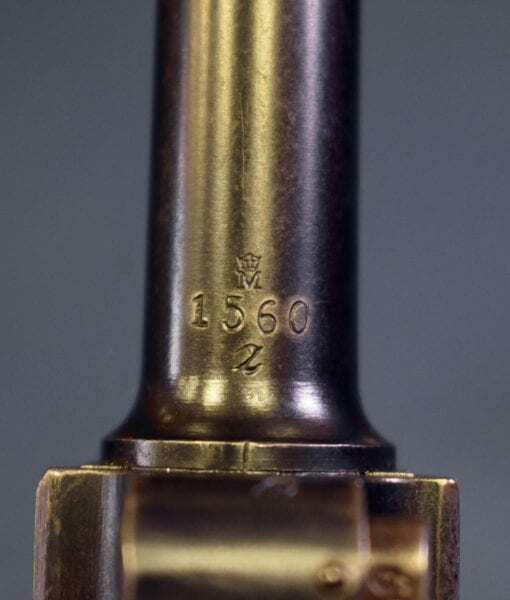 You will also notice the commercial style numbering on these Naval Lugers and the large Flange toggle pin that was only used on these pistols. 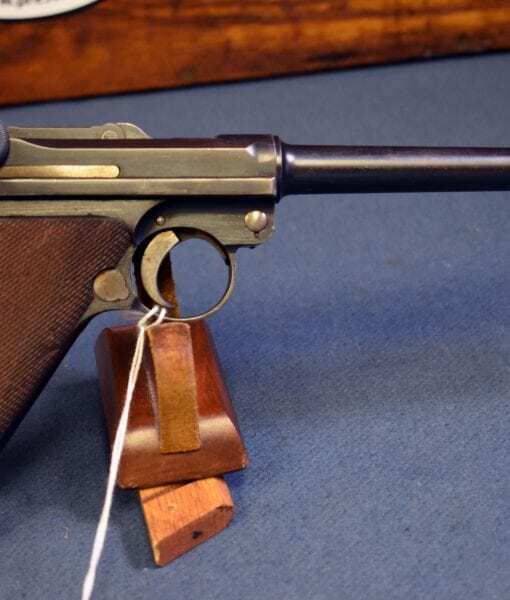 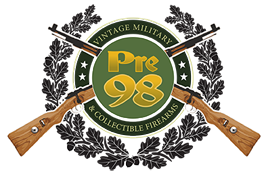 This is an extremely alluring set up that would attract the attention of any serious Naval Luger or WW1 collector. 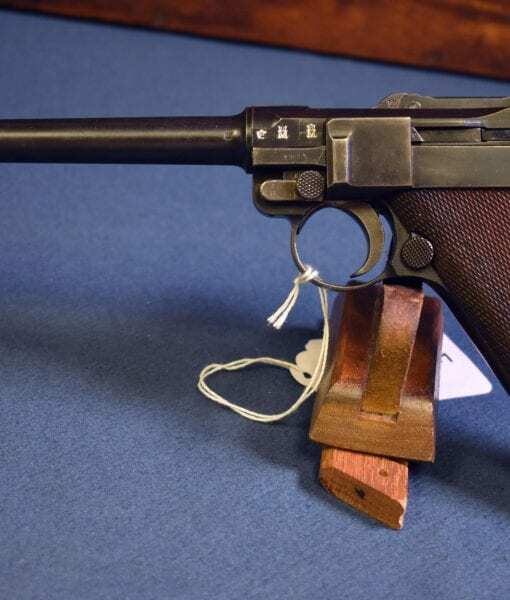 This is certainly a very choice Navy Luger and a great buy as well.